No one comes in my bathroom and that’s final. Except to get dirty clothes from my hamper when I’m not there. But they’d better not mess with any of my other stuff. I don’t like clutter so everything on my counter is necessary. Kleenex, tooth brushes, clock, and sink are on the left. Lotion in the middle. A wooden box for pennies, and my TV on the right. Everything else is hidden in drawers or cabinets. That’s me in the three mirrors. I cannot imagine why there are three mirrors. My wife designed my shower except I didn’t want it enclosed with glass. She said I’d have to squeegee it after each shower and I knew that wasn’t going to happen. I’m careful not to splash. And she put the huge skylight above my sprinkler. It’s just right there, and let’s light from the entire world in on me while I’m standing naked. Next time I’ll design my own shower. That’s shampoo and conditioner on the banco, and my towel drying on the warmer. I don’t know why the wall is pink in this photo. Please don’t tell anyone the walls in my bathroom are pink. They’re white. This door goes to my closet where my jeans and shirts are stored. The flowers never bloom but who cares? This door leads to our bedroom. When it’s locked I can exhale and loosen my belt two notches. It’s where the ever vigilant Tesuque and I can hide from the grandkids and the rest of the world. Our 17th century Spanish traveling desk stands against the south wall. It has children’s faces carved up and down both sides. The sculptures on top are an antique Kongo nail fetish and an old pottery children’s game bowl from Mexico. And in-between is my faithful bamboo back scratcher that has served me so well for about sixty-years. If you look close you can see it. In the mirror that’s me again, also early Spanish. The mirror I mean, not me. How fortunate we are to have the luxury of warm water and electricity, an extravagance that 80% of the world population doesn’t have. That fact is not lost on me. This entry was posted in Forrest's Scrapbooks and tagged Clues, Forrest, Forrest Fenn, hidden treasure, Poem, tesuque, Treasure Hunt by dal. Bookmark the permalink. the alovera is a awesome Indian healing plant i dont know to much about pink but it sure dont make you less a man thank you for sharing your tidy ness i guess im one that dont mind the mess of any place but i do like to find what i loose from time to time for that venture tidy is good some times i feel like a kid in a candy box i cant wait for our trip to yellow stone its my last state to search maybe it should of been my first but it has been a woth while adventurein wy colo nm beauty all around us thanks for taking your time to put this together for us enjoyable thank you Sir. When are you heading to Yellowstone, Jeff? Will this be your first time visiting Yellowstone? Nice show of compassion, too. I concur, SL. It shows in the latter of his statement. Jeff, you’re going to love it. My family and I have returned many times, and will, once more, on Friday. We’ll have a young lady with us who has never been there. Can’t wait to see her expressions. The state is also the birthplace of the celebrated black and black ceremony, which today is associated with the peoples of San Ildefonso. To rock churches, fairy chimneys ..
Rhonny, I enjoyed what you had to say and went back to look at the photos, along with the story. Thank you for pointing out things I had not considered. Sure are a lot of cabinets in there! Definitely a well organized room. The mirror is primitive Spanish artefact. Don’t u just love mirrors? The shower has a warming touch of color I would say Mrs. Peggy did a fine job 🙂 !!!!!!! Google says that Tesuque, NM is only 6 miles north of Santa Fe..
I’ve been to those cemetrys in the fall and summer,nevadaville,thats toxic in those yellow mine shavings.been to nederland,which was called brown.nada.thought of boulder area,too many mountain lions in that area.good luck. What interesting Dal is that it is where Frank Turley’s blacksmith shop is. I have always liked page 136 the best. The way Forrest describes the making of the horseshoe. It is so descriptive….I really felt like I was there with Forrest watching, listening, and smelling the same things he was. Have a great day… until next time.. see ya Fred….. The combination of your bathroom and and bedroom are about the same size as the first apartment I lived in. The bathroom is bigger than the bunkhouse I slept in at the dude ranch near Lake Hebgen, Montana. I always wanted his and hers bathrooms. Very nice. Three mirrors !!!! Do they face each other??? If they do you can at least look at infinity. You have a lovely home, thank you for letting us see your kingdom. You ff crack me up in a good way. This reminds me of one of my grandpa’s own numerous,humourous antics in his later years. God bless. BTW the framed selfie is priceless! Love your home – Peggy did a great job designing it, including the skylight over the shower. 🙂 The writing desk is a beautiful piece with those wonderfully carved cherubs on the sides, and the other items in your bath are wonderful also. Well there you go you can at least reflect on things every day. Forrest….Your message is not lost on me! I read you loud and clear…Thank you for the two missing shirts and left tor right comments in scrapbook 99…that plus the new scrapbook sealed my solve! Waiting patiently for her to indulge me… until spring! Confidence once again, and Patience don’t u like that word? Maybe, a lot of people are getting close and Forrest is creating a foot race for the spring. Does seem like his “hints” are narrowing in. Yep this solved it for me also……I finally got it. It only took 100.5 hints. Rearrange the tiles and it’s obviously a map that goes with the gold dust map. Notice the time on the clock. One shot has the TV off, the next shot the TV is on. Why is he framed in the small mirror, he could easily not have done that. Why does he mention the pink walls, I’m sure he understands white balance when taking or editing a photo. I wasn’t for sure, but Tesuque nailed it for me. I’m not waiting til spring. Sounds like you’re seeing the same thing I’m seeing. Was that Judge Judy on his TV? I mean there is no question about the blaze anymore, is there! Goofy, dog to dog whisper…Tesuque is a cute companion with an unusual NM name. narrow place of cottonwood trees. It may be where Tesuque does his business, you know his version of in the wood. Maybe that is “On the wood”. You sure are getting up close and personal now if we could get some close shots of where the chest rests.. think I’ll get me a hot dog roast going… not you tusu you weigh as much as the chest I bet. Hmmmm….scrapbook 99.5, must be planning something big for 100. Nice!! Love her color choices for the tiles.. I agree, Onuat. That looks like a beautiful green marble. It very earthy and natural. I love natural stone. I hope one day to learn how to do that. Nice bathroom! I want one! Forrest, you crack me up! Thanks for being so authentic. Scrapbook 99.5, 99.6, 99.7, 99.8, 99.9, 99.99, 99.999, 99.9999, How many clues and hints are there? Oh my it is never going to end is it?!?! …or infinity! LOL! I used to play that trick on my brother. The first time he must have waited for a few hours until he remembered what an awesome joker I am…and that I was likely eating nachos at the seven-eleven and NOT looking for him. JC1117 . . . INFINITY! very small one . . . in my opinion. Ha, ha, I love it Mr. Fenn. I Love getting to know a little bit about you and getting a glimpse of your treasures and home. Thank you. P.S. I too feel fortunate to afford the luxury of warm water and electricity. Very nice forrest, the bathroom makes mine look like a small closet. No matter it still serves it’s purpose. I won’t say anything about your ‘pink’ walls, but that ‘pink’ towel, that’s gotta go…LOL. BTW your Christmas cactus (or Thanksgiving cactus) will only bloom once a year. Have they ever bloomed for you over the years? Beautiful blooms, too bad they don’t last longer. “Begin it where warm waters halt”…. hint: not in his bathroom, but further down the line. Works for my solve perfectly. Been stuck on the last stanza for over a year though. The path so far has not been easy, but it has been sure. ,,,they look…but they don’t see……. When my husband and I went to Costa Rica, we were in a hotel in the cloud forest that had an open shower similar to yours. It had walls that came up about your showers wall height, but a little shorter and it had the roof, but the windows were not there so it was like being outside. A little green tree frog with red eyes took a shower with me. And in the morning, we were awakened by a toucan, which we didn’t appreciate properly. It was a great trip, so many animals! The Phantom had great mobility 🙂 So, I doubt, you can keep him in the house if there was a excuse. What is always in front of you but cannot be seen? If Peg claims the kitchen as her personal domain, Forrest will need to bargain with her to get his toothbrush cleaned… Which reminds me, don’t cha think that Forrest could write a book on cleaver usages of common household items? I gotta assume he has a number of unique ideas for utilizing plastic wrap, bleach or tools in the shed. I am hoping we do not see a scrape book 99.5a, the toilet. Judy Ms. Girl – nice to see you back. Sky light, F’s portrait in mirror, tri-mirror images (fenn, phantom, shadow), showering in the open, water sprinkling from above, arched doorways, natural stone color of patinized bronze, Time ticking away, Fenn in the Middle, window shade exactly 1/2 open, maybe RR will peek in, brown dog, near Peggy-his true treasure, Spanish theme, his domain is his kingdom, message of infinity, mirages. The antiques are intriquing and Fenn’s always a hoot. Entertaining as we que up for a tour of FF’s bathroom like frogs on his treasure log ready to leap, but trapped in our own brain fog. I stumbled across this article in people magazine from 1986. Thought it was interesting maybe others would care to read. I had to do a search on “Forrest Fenn”, to find the article. Highly recommended read to get a glimpse of Forrest 28 years ago. Yes, quite interesting. For some reason the link won’t post correctly. So just cut and paste into a browser. Try this link for the People article. I had to look at the pictures again because everyone is talking about items in them, and I noticed I think I have the exact same clock. Mine is an old wind up clock that I used when I was a teenager because I did not have outlets in my bedroom, but it looks the same as that clock. Tesque is the cutest. How he can look both happy and forlorn at the same time, I don’t know. Maybe he’s feeling as I do when someone takes a picture of me, lol. I feel there are subtle hints everywhere in this little piece of Forrestabilia, but who can say for sure? If there’s one thing I’ve learned in this search, is that coincidences are everywhere. I don’t feel hard logic will solve this. I am so tempted to move back to Albuquerque to pursue the search more thoroughly. If I get bad news with my biopsy, I may just do that. The kids have been dying to move back ever since we moved away. Springtime in Albuquerque in the Sandia foothills, riding my bike alongside a buffalo herd was magical. Even more magical than surfing in the Shark Bite Capitol of the world. Now let’s find that chest of Gold 🙂 !!!!! Hi Forrest, curious if you know when that travelling desk came to America. Was that thing a witness to history? Wouldn’t that be special. Really like your bathroom. Does you’re aversion to clutter stem form your military training? I have a shower similar to yours and I do not splash, either. My wife trained me not to, in a similar manner as Peggy did when she suggested the squeegee!! Agree with you that few people recognize the opportunities we have here. Such as warm water and electricity. It’s too bad modern technology can’t devise a method to produce more hydroelectric power, without adversely affecting the ecosystems with dams. Lots of water runs out of the mountains. OK, here we are in the correct place. Comments on the first bathroom picture here. Wow, the extra long day of work will have me catching up on comments til midnight! Yep, I think there are clues here. I also think there are some locational type clues in the Mike Kammerer story, and a couple others. oh, cr@p, i’ve just wrecked my dads vintage Ferrari! Forrest can I please come hide with you in your bathroom? Will you protect me with that wicked knife or deploy Gold Bond lotion on my dad if he comes looking! Lol, that’s a funny movie. I like that contemporary house with all the glass. It’s a bit too cold for me, but architecturally pleasing in it’s wooded setting. It’s in Illinois I believe. I saw it for sale a year or so ago. I had a calculus teacher that spoke in a monotone just like in Ferris. Each morning he would go through attendance, we would be laughing so hard because it was just like in the movie. Well, I guess if you have to get up every morning to teach calculus, I can see the tendency for becoming monotone… Numbers are boring to me. Although very important also. I just can’t get there. I’m more of a visual/artistic minded person. You might have liked calculus, there were a lot of very creative graphs that we created with our formulas. This was before all the fancy calculators to draw the graphs for you. Mine was just algebra, but it was always a struggle staying awake. Many times I fell asleep in his class. My classes were scheduled in the afternoon. Calc was my first at 1:30PM. I was working 3rd shift I would get home, sleep a few hours, then I would go over to a friends house and we would have a hamburger lunch, a few beers, then go to school. Listening to his voice after a few beers put me asleep. One guy in the class would balance his class ring on his fingertip, so when he started to go asleep, his ring would fall, hit the desk, and wake us all up. It was in the afternoon, I forget because I worked third shift. So I would wake up, eat lunch (breakfast) go to school. I forget my dates as well, except the ones that invite me in for a cup of coffee – I enjoy a good cup of coffee. One date did so and to my surprise she didn’t have any coffee… not even a coffee pot…I told her the next morning, Sorry this isn’t going to to work out. This was in the day before, The World Wide Web. It’s so much easier today… just send a text. I finally toured f’s now famous bathroom tile collection. Found a St. Bernard dog in the top left tile and a beautiful eagle landing below. Hmmm, anyone else think he hand picked each tile? anna, My impression of this SB was that f doesn’t like the tile in his bathroom because of the imagery he sees in the them. So no, I don’t think he hand picked the tiles. Did you see these images of the St. Bernard and eagle in the SB pictures? I wonder if these images are significant to solving the poem. Just looked at the photo in the SB… I can see the St. Bernard and the eagle. Ok. So… maybe I’m now onto something here, finally. Mirror is espejo in Spanish. Quit reading at this point if you’ve lost interest because of my propensity to see all things in Spanish. Sorry, Jake. Propensity is a word you’ll just have to google. Antonio de Espejo was one of the original Spanish explorers of New Mexico. This scrapbook and all discussion of mirrors are likely hints to point us at New Mexico. I’ll post more later in the “Looking in NM” section when I have it organized, like how the dragonfly on his bronze jar could be related to another explorer / official of early New Mexico (Oñate); how AF Bandelier’s writings of legends mention a lake named “Guavativa”, and a litter (like Fenn’s “sedan”), and maybe why Litter81 was Fenn’s call sign; how Fenn’s elevation range clues of 5,000 to 10,200 pretty much matches Bandelier National Monument; how Fenn’s car is named “Bullet”, which is pretty much the meaning of “bandolier”, and lots of other fun facts. Other thoughts related to NM include how local features may have been triggers to stories that went into TTOTC, such as the Tierra Amarilla Grant may have triggered his “In Love with Yellowstone” story; how Abiquiu’s Georgia O’Keefe paintings of pineapples may have triggered his love of pineapple pie; his much debated “Billy the Kid” photo; and the several Taos connections, like Taos Pueblo formerly known as Braba (brave). There are also lots of other possible subtleties like 66,000 links pointing to the acreage of the Antonio Martinez Land Grant; as well as Cody the “buffalo” being the Hawikuh word for the legendary Cibola, and how they sprinkled gold dust and gum on their chiefs as a death ceremony, a cute tie-in to Fenn’s affinity for bubble gum. I’m still looking at the architecture angle and maybe a nonagram as being able to tie it all together, but this is still just a theory. Maybe all of this will help you find it. Maybe not. E.C. Waters, I like your style, but IMO you are a bit too smooth. I am still in the chase, so don’t count me out. @Slurbs – A bit too smooth? In what way? Smooth like the baked fruit of the Yucca baccata? Smooth like the pimento spread of the capsicum annuum? Smooth like the Spanish word and synonyms for “griffin”? Or smooth like the radio schedule in the 1940s where “Mr. District Attorney”, “Amos ‘n’ Andy”, “Your Hit Parade”, “Hopalong Cassidy”… and “Truth or Consequences” (a city in NM)? Or smooth like shooting at a scissortail (Tijeras, NM) with a Red Ryder (see “Foster’s Diner” in NM)? Maybe the bulb gets hot and he just doesn’t want it there messing with his clock. This SB is flush full of ideas. Thanks Zap. Don’t have time to read through all the comments. Did anybody mention the very small carving below the “running man” and possibly below the 2nd F? That works for me. May not be X marks the spot, but close enough. PS. Would be honored to go trout fishing, soon. Even though we shall not cease from exploration, I smell a sly wolf in the woods. I saw the 99.5 also. Don’t know what to think about it. I believe it was meant that if you can understand the site then respond here on SB 99.5. The morse code at the bottom left of the site says “we shall not cease from exploration”. That’s in part why I said that here. Hey Iron. Where is that morse code, cant see it? Scroll down to the lower left grid, its a small round dot. (Second try.) Iron Will, I do not read Morse Code. Would you be so kind to decode it, please? What I see is The Creator…creation…The Alpha and Omega…The King of all kings. Thanks Iron. Cant see the morse code. Any idea what place they are hinting at with that one square? you cant see the morse code… you have to hear it. Its the round dot at the bottom left of the page. you mouse over till you can click it and then listen. In reading “Little Gidding’ beginning to end, and to the best of my simple ability; doors and windows towards a better ‘understanding’ of The Flyer and his message ……. began to open. I have said this many times,you start at home and end at home.and the beginning and end is the same.a to z. A straight line,cooked line,begin and end at either end.its the same.but no one paid attention to me ,not even mister forrest.birth,death.one dies .one born.creation.life.the cyle of life of nature in everything. Humans,animals,forests,mountains.alive,they all are and replinlish with the ash.I’m agreeing with ya. Me too.SL, And by some quirk, ff’s white dyed hair took me to the white hedges in Little Gidding. I wonder, Is it a lie if someone tells you he is lying, or just a way to draw your attention? And what is a ‘preface’ anyway? A place before time? Waiting for the light to change to show-her? Waiting kills, even if health is good. SL, Keep exploring. and check SB116 for a tarry scant shower and a marvel gaze. Your advice means a lot to me, and I thank you for offering it. Your ‘questions’ are very wise ones, indeed. On my way to explore some more! (Pink) is the color of the bathroom walls of your ff, I think these things may have help. Have a good hunt happy and safe ..
Spiritually into infinity; one is…..all. After rereading this scrapbook, things seem to have different meanings than what I thought, but it could be just me. I enjoy this scrapbook nonetheless whether there is anything to be understood or not. This may be true, Iron Will. The Flyer’s bathroom walls actually aren’t pink , as pink is NOT a color at all! So, when do we leave?!! (I wish). Hello SL. It looks like a great place to see. I’m not sure if I’ve seen area before. 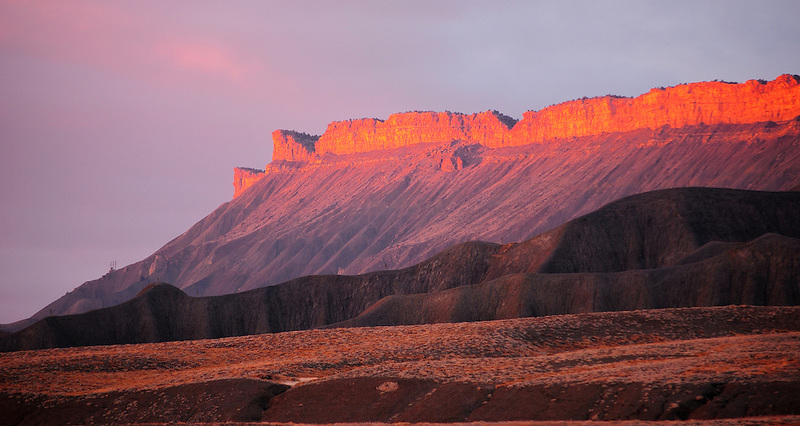 My mom use to live in Grand Junction, and would have had to pass through Palisade to get there. I just look out the window and see the beautiful surroundings not knowing whether it/they have a name to it. I feel a little embarrassed by saying so, especially living in Colorado for forty years. Have to look at my calendar to find out when you and Virginia diane wish to go. I went to the sand dunes.the water is cold,i waded in it ,was nice.warm could be cool.anyway the waters there dry up.they were alttle water left .but gets enough water people tube in it during the year.but later begins to dry up until the next year run off..i kinda think maybe the treasure may be around san luis valley.but i have another hidey spot with birds galore,gotta go back and check it out.went to one place i gotta check out again and slipped and fell. Hurt my pride more than snything else.it was heavy loads and water high place.gosh i need to find that treasure.i been praying just like everyone else.went to ted feathers lake area by myself.was pretty.i went to see the gnomes.came back with no treasure on all these trips,but was fun. Tighterfocus: I agree that there are hints in this SB. Forrest has said that hints will help you with the clues, but only the clues will lead you closer to the chest. I don’t think Forrest has ever been too definitive about *how* hints will help with the clues. It ~could~ be that the hints primarily serve the purpose of supplying Easter Eggs for clues that a searcher has already solved, but that’s just a theory. Forrest has been silent on that. zaphod73491, here’s how I think a hint could help. the quantity of clues? Not me. to remember in the future. Starting now . . .
Its a reebus isn’t it? If you want me to figure it the rest out you’ll have to sharpen the image. Covert One: I’ve got plenty for this SB to multiple clues, including WWWH. Ok..so why did he do that? And if you add all pics with mirrors, there are 5?, or were we really suplosed to see 3? Lol as face unveiled in a mirror…? Kym, I believe that there was no change of items. The only change I notice is that of perspective. I see the same items in each photo that contains them. It is a different appearance from a different angle is all. Hello Kym. Have you compared the bases of the two items? The craftsmanship on the desk is beautiful. Botg getting ready for a great search! I really love the new HoB I’m now focusing towards! How exciting! I hope everything goes well for you. I believe my boots will be hanging until next year. I was just watching the weather report, and Mother Nature is certainly letting us know things are beginning to change. I believe many searchers will be making their last minute decisions of whether or not to put one more effort into their search area. Just went Saturday from georgetown,co. Up to gaenella pass.i know i spelled that wrong.anyway, we went to see the aspens.they are in full color.the summit was nice.then on down towards bailey.telluride got alittle snow.not much.but its coming. Good point pdenver, maybe my search near the HoB is needed sooner and I should go botg tonight like I said. The previous five comments were not made by me. Someone is commenting using my name. My next search date and time are only known by myself at this moment. I have been receiving awkward e-mail since I posted my e-mail address. I do not comment often. Whomever is my imposter, you should come up with your own name. Pdenver, you were conversing with a ghost and please don’t reply to this comment! Whoever is using Slurbs name to post , you need to use another name. Slurbs has been here for years and the last thing we need here on Dals site is not knowing who we’re really speaking to. Slurbs, I looked into your complaint. You are correct; that person also posted as Blazerider, Indy, Pioneer days, and Curious. I am not a poseur. I was hacked. Yes I know Curious. You are fine, the person that impersonated you is toast. Dal or Goofy, are you able to help with this matter of misrepresentation? The photos do appear to be interesting. The craftsmanship of the desk is beautiful. I REPAIR the sprinkler in the bathroom, and then at the counter where the wooden box is, look at the granite between them and see the white stripes, look at the basin, these words reminds you of geography, pay close attention in the direction that he has his table of the century 17, then look at the image of him in the mirror and try to understand the direction he shows you, see every detail even on the plants, storage, and up to the arch of the door, principally his brush and his tip, reminiscent of his story. friend who painted the wheels of the car. An image says a lot and even more classified of type comics, I’m-one, I was-one, do not forget the word NU that appears some stories of your ff as well as HEAVY, LOADS, LOUDS AND OTHER POEM WORDS THAT YOU WILL FIND. (Second try.) Thank you for your response. I appreciate your help pointing out the things in the photos. Yes it is, i love antiques and the history that goes along with it. ,but, then i figured that i would still have been the one getting in trouble for putting on pants and just taking off on my horse!!! not forgetting look well behind the lavatory sink has a photo of a horse in a pasture next to the clock, the basin means basin geography, look with attention friend I hope to have you help. So how did I go there. rhonny, I hope this will post for you. You have good eyes and imagination. I can see how one might see a horse in the granite backsplash. Thank you for point this out. 43 letters in second sentence, lotion in the middle=17 letters, 5 words to and, 17 letters left in sentence=22, 22 words in last sentence. 17 words then the rest do not matter. 17th word is “up” representing longitude. 43 letters to warm water, and means + or in addition to so it is a symbol here not a word, you have 17 words remaining in the sentence. Barnard 33 come for thee Mystery. I think Spanish will be more useful in clue number one only. I have 9 WWWHs in “one single” place. 1 – Humm… This will be a great surprise! All send me at “in one” single direction for “all clues” and to the spot of chest. IMO, of course. I don’t have the chest, yet. No i don’t, but I think someone will figure it out one day. FF is right: the Poem is all you need to map it. I am studying his map & poem with the mind of a child in order to catch something else. IMO it would make sense that between Begin it…and Take the chest, there isn’t such a long distance even if Too far to walk is in the middle. I almost decipher wwwh but i am facing an addtl odd clue, and i think it is that Spanish element. I found what wwwh means…but FF is definitely not making it easy for anyone to find the path to the TC. Like how the man behind the curtain had the telegraph split in the middle of the message so it seemed garbled. Made it a lot more difficult.